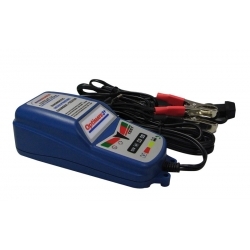 The Optimate 3 battery charger is the charger recommended by Honda for your CB500F, CB500X or CBR500R. With special loading cycle, it optimizes the battery power and life. Comes with two cables, one with crocodile clips and one which settles permanently on a battery for easier and optimized loading.